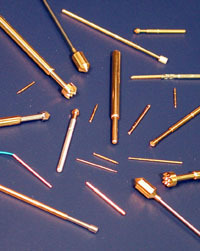 Test Connections Inc. is a leading manufacturer of quality spring probes and test pins. Test Connections Inc. is dedicated to our customers. At Test Connections, our business is designing and manufacturing the highest quality and most cost-effective products. We also have years of successful experience and knowledge in the ATE business. Custom and special designs optimized to your specific requirements are invited. In addition to using the proper materials and quality construction in all of our products, TCI continually reviews processes to assure that we meet or exceed industry standards in performance, quality, and value. Our standards are mechanically interchangeable with most existing spring probes. 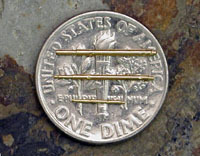 QuickFix is a direct replacement for existing bare board grid ET systems without modification or additions. TCI offers a complete selection of off-the-shelf loaded and bare board spring probes with a wide range of options in tip styles, plating and materials.